I love olives in just about any form. 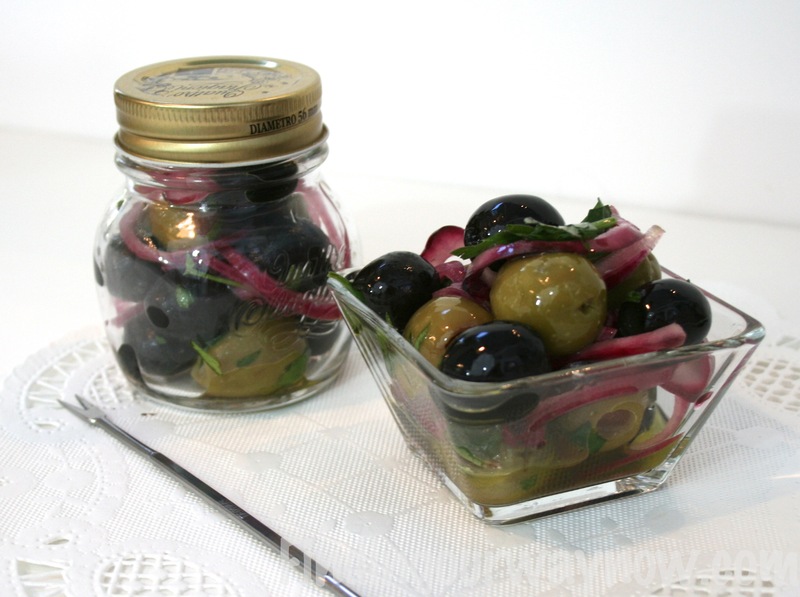 Because of that, it was suggested that I add this Easy Marinated Garlic Olives to my blog. This Easy Marinated Garlic Olives recipe, as it is with most of the recipes I’ve showcased, is SUPER easy. It so easy that I call it my “add, shake and you’re done” kind of recipe. This also makes a great gift for anyone who loves olives. Place all the ingredients in a glass jar. Cover tightly and shake until the ingredients a blended. Refrigerate for at least 2 hours. They can be kept refrigerated for up to a month. Drain before serving. Note: If you can’t find the unstuffed green olives, just remove the pimento, and you’re ready to go. You can use other types of vinegar if you desire, I just like the clean taste of the cider vinegar with the olives. Now, how easy is that! This is an easy recipe to throw together for a picnic, potluck or family gathering. Make a double batch because they won’t last long. As I said before, they also make great gifts from your kitchen packaged in cute little jars with a bit of raffia or ribbon and a tag. Enjoy. If you liked this “Easy Marinated Garlic Olives” recipe, don’t forget to check some of my other recipes such as these Warm Marinated Feta Cheese with Olives, Hummus Recipe In A Jar and Crunchy Garbanzo Beans.